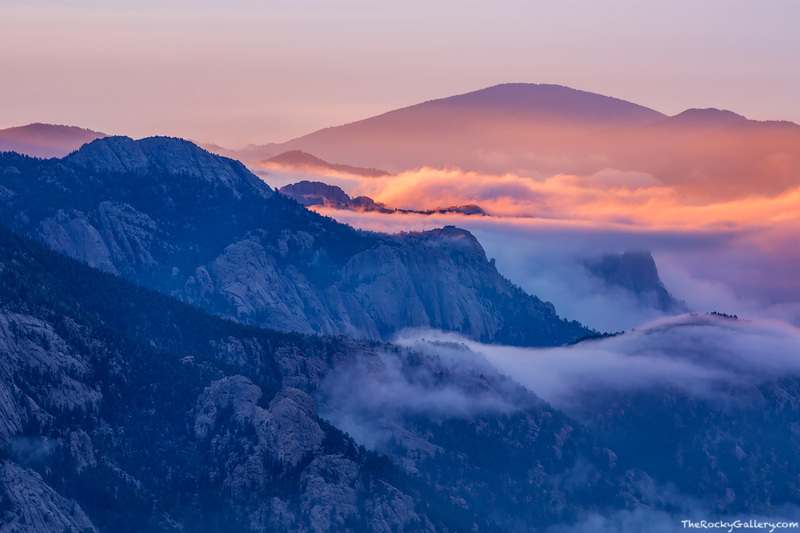 An inversion over Rocky Mountain National Park has caused clouds to settle in over the town of Estes Park and Lumpy Ridge. Just enough sun was able to break through the morning overcast to illuminate the granite peaks of Lumpy Ridge on this beautiful and dynamic morning where the fog clung to the granite ridges like a blanket. Photo © copyright by Thomas Mangan.